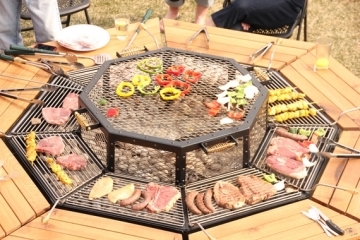 We’ve seen a lot of awesome chopping board designs, from an OCD Chef Board to one with multiple compartments. And we don’t mind finding a few more. 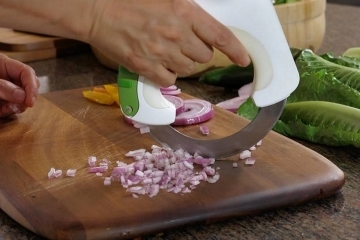 This Rinse & Chop Plus Cutting Board definitely belongs in our list of favorites. 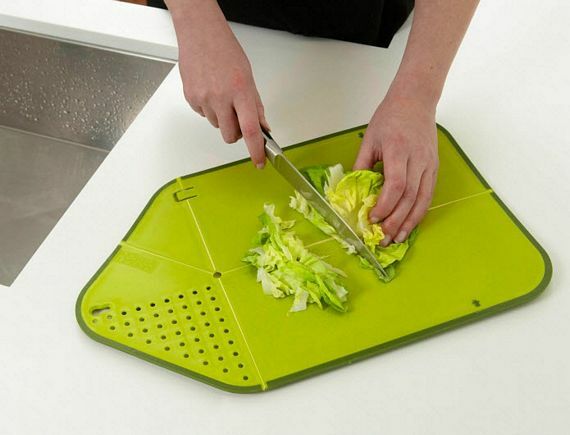 Made by Joseph Joseph, it’s a chopping board that folds into a curved colander with a perforated end for rinsing and subsequently draining all the meat and vegetables you chop in it. 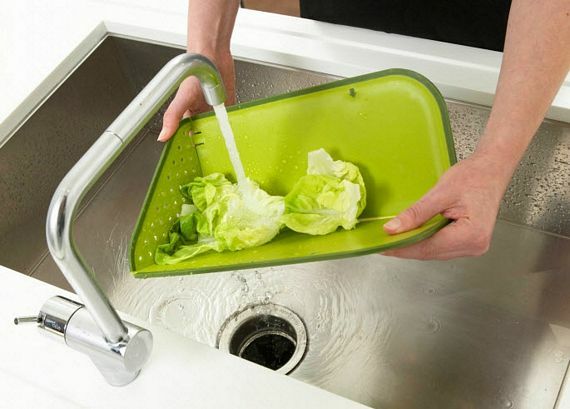 That way, you go from chopping your greens to rinsing to draining to putting them in a serving bowl without the need to transfer between different food prep containers. 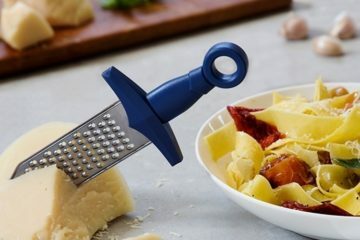 The Rinse & Chop Plus is a knife-friendly, non-slip board that you can use to chop, slice, dice and perform your blade wizardry in the kitchen. 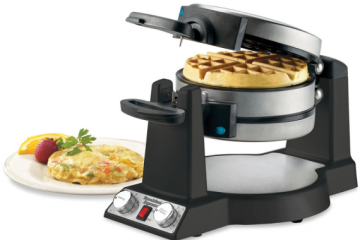 It’s constructed from hard plastic, which should be sturdy enough for all your standard food preparation duties. 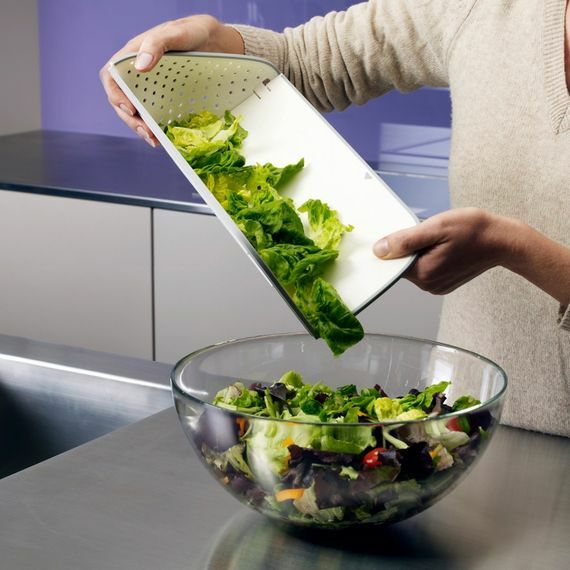 To use as a colander, simply pull the triangular end up, fold the board down the middle, and slot the hook on the designated hole to lock it in place. The same hole serves as a handy way to hang it when not in use. 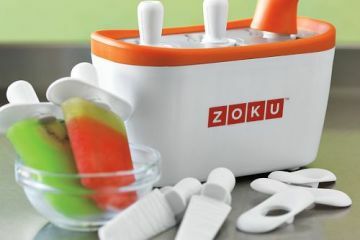 Granted, you probably already have separate cutting boards and colanders in the kitchen, so this isn’t something you need. 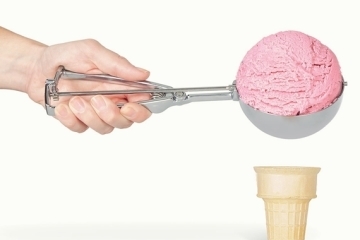 If you enjoy clever design in the kitchen, though, it’s downright hard to resist. Joseph Joseph has the Rinse & Chop Plus available in either green or white colors, priced at £15.